Birdathon is like a walkathon, a bike-a-thon, or dance-a-thon. It’s a way to put the fun in fundraising by getting lots of people involved. Like a walkathon, participants gather pledges from friends, family, work colleagues, and others who want to help Eastside Audubon keep providing the great programs we offer the community. Instead of getting a pledge of $1.00 per mile walked, bird enthusiasts ask for a pledge for each bird seen by a person or team. Audubon chapters all over the country hold their Birdathons in the month of May. Birds need our help these days. We’ve all read stories about bird populations having difficulty, and their habitat being disrupted, and the effects of global climate change. We humans can do a lot to help birds and their habitat. We owe it to the birds and to our children and grandchildren so they can enjoy these birds as they grow up. Eastside Audubon is helping birds by providing education about birds through our Bird-friendly Communities, Plants for Birds, and field trip programs. We encourage you to be creative during Birdathon. One way to Birdathon is to go out to watch birds on a personal Birdathon on your own or with your family or friends, or on a field trip, and then make a donation to Eastside Audubon based on the number of bird species you see. 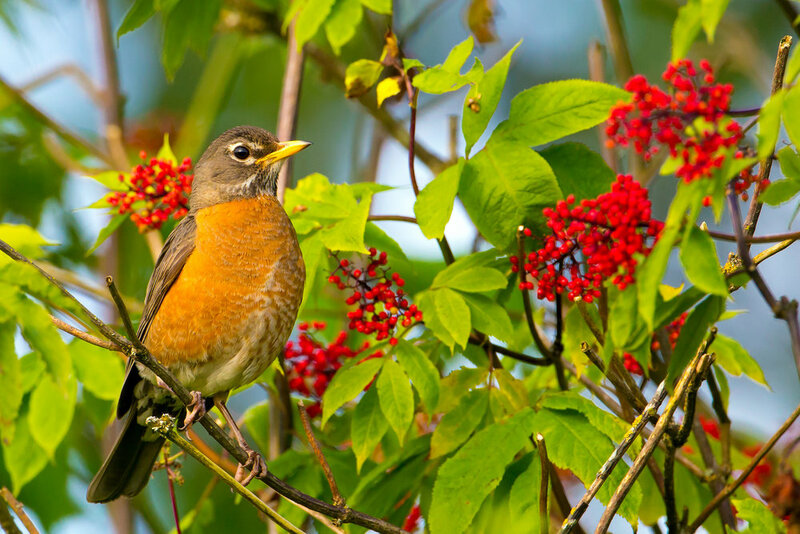 A bird species is any distinct bird such as an American Robin, a Steller’s Jay, a Song Sparrow, or a Red-tailed Hawk. Another way to Birdathon is to go on one of the chapter’s field trips during May. A donation of $25 per trip is requested (but you can give what you can) and participants also have the option of contributing based on the number of bird species seen on the trip. A third way to Birdathon is to support one of our Birdathon teams. Eastside Audubon has four teams which compete to see how many species of birds they can see in a single day. The teams have creative names to add to the fun of the event. The Karismatic Kestrels are led by Andy McCormick. The Whidbey Wingdings are led by Hugh Jennings. The Raven Maniacs are led by Jan McGruder. The Bird Brains are led by Jim Rettig. Most teams will see about 100 different species of birds in a day. You can make a pledge to support one of our teams. The real winners of Birdathon are the birds, wildlife, and the habitat they need to prosper. Birdathon is a way you can directly support the work of Eastside Audubon and the birds we love. Thanks for all you do for the birds.